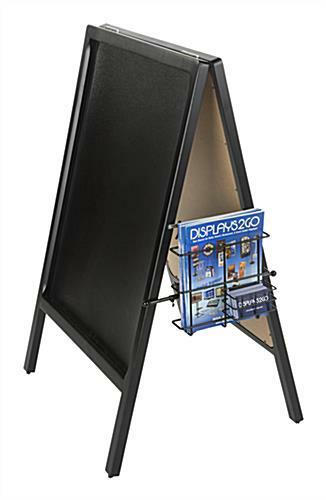 This A-frame sign board accessory is designed to hold catalogs or pamphlets and business cards. 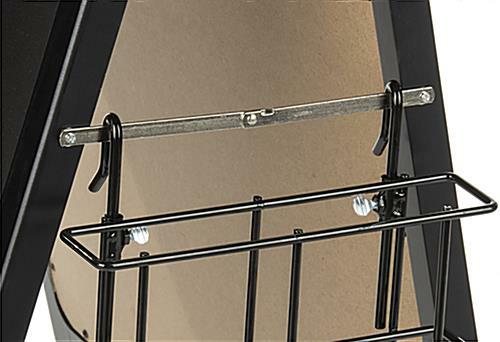 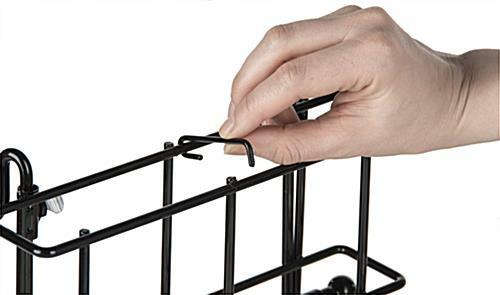 The black wire display rack offers customers and patrons easy access to takeaway literature. 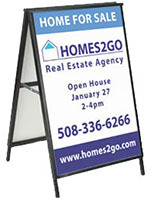 The high visibility sign board accessory requires no assembly and slips over the hinge of most sidewalk-style signage. 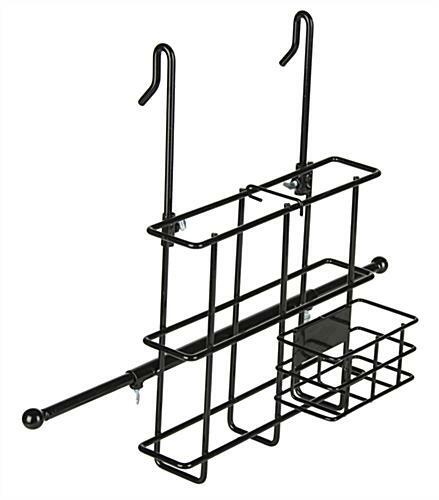 An adjustable rack divider allows the brochure holder to display catalog or trifold size literature. 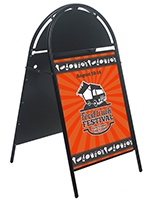 The versatile sidewalk sign board accessory also contains a pocket for standard business cards. 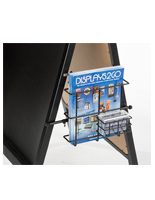 This indoor/outdoor brochure holder is a perfect add-on for businesses that use folding advertising signs in high traffic areas.